TJ's Birth Story Mama Say What?! | Mama Say What?! Stats: 6 lbs., 8 oz. At my 37 week OB appointment, I learned that I was 2cm dilated and 50% effaced. I knew I could remain 2cm for another few weeks, or I could go into labor tomorrow. Either way I was still excited to know I only had 8 more centimeters to go. I had been fighting a terrible cold all week and wondered if my cough could put me in labor a little early. I was still planning to work another week before starting maternity leave. My OB was heading on vacation and said it was a small possibility, so she made sure I had a copy of my medical records, just in case. After I got home, a friend of mine (who has five daughters) laughed when she saw how low I was carrying and told me I wouldn’t last the week. I laughed right back at her thinking I still had three weeks to go. My husband and I attended a Bradley Method childbirth class because I wanted to have my son with as little hospital intervention as possible. 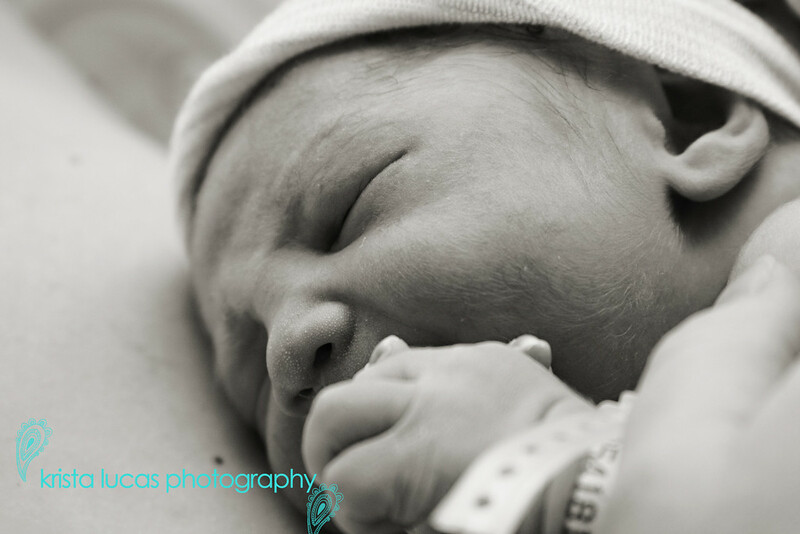 As much as I would have preferred a home birth or a birth center birth, my HMO would only cover a hospital birth, and we couldn’t afford to pay out-of-pocket for either of the other two options. Thanks to advice from our Bradley instructor, I was able to get my insurance to approve a switch to a different local hospital that was much more accommodating to the birth we were planning. The class also gave us the education and ability to go into this childbirth thing with no fear of the what-ifs. I woke up Sunday morning to 2 or 3 super light menstrual-type cramps. They were very weak but something I hadn’t felt at all during the course of my pregnancy, nothing like the few BH contractions I’d had. I’ll admit I had a few moments of heart-racing panic as I thought this might be the start of labor. My son’s nursery was barely started, we had no diapers or wipes and our car seat wasn’t installed yet. So, I put myself in a blissful state of denial and tried to ignore the “cramps” for the morning and most of the afternoon. TMI, but I made 4 or 5 trips to the bathroom that morning, convincing myself they were from dinner the previous night… I couldn’t possibly be in labor already! Of course, afterward I realized my body was getting ready. My husband was getting ready for our new washer and dryer to be installed, so I thought I would install our infant car seat. While doing that I had three contractions that caused me to stop what I was doing and force myself to relax. I must have looked ridiculous! The short walk up my driveway and into the house produced three more strong contractions that were only a couple of minutes apart. I KNEW from our Bradley class that walking was a great way to keep labor progressing, but all I wanted to do was the five things we were taught to figure out if I was actually in labor… so I could lay down and rest. I took a walk, drank some water, ate lunch and tried to take a nap. Laying down, in any position, simply wasn’t comfortable. So I went to take a shower. I couldn’t take a shower at that moment because a pipe was broken while installing the washer & dryer, so the water was shut off. As my husband was frantically trying to prevent a flood and walking out the door to Home Depot, I finally broke the news that I was in labor. His eyes got really wide and he asked me, “Did you do the five things? ?” Then he smiled when he realized that I couldn’t take a shower with the water off. I reassured him that the contractions were manageable and I didn’t need him right that moment. So he worked frantically to get the water back on so I could shower. While he was gone, I called my mom to get confirmation that I was actually in labor. She had all four of her babies naturally using the Bradley Method. At this point, my contractions were focused in my lower back and would sometimes wrap around to my hips. I sat on an exercise ball leaning on my bed trying to roll my hips around during a contraction. They were about 10 minutes apart now and all over the place in length and intensity. My mom predicted I’d have my little boy sometime tomorrow evening. When I was finally able to take a shower, the hot water felt amazing on my back. I used up all of the hot water while my husband sat on the toilet seat with his iPod helping me time the contractions. They were 5 minutes apart now and steadily building in intensity. I still hadn’t lost my mucous plug or had any bloody show, so wherever I walked, I had a large towel with me, just in case. I was convinced that my water would break all over our carpet. My husband made me a couple of eggs and a toasted bagel. The timing was perfect because shortly after I finished eating, I had no appetite. Every 30 minutes or so, he’d also give me a glass of water or Vitamin Water to stay hydrated. We called my sister to have her come over. It was really helpful to have the extra person around. She helped keep me relaxed by making me laugh and time my contractions while my husband got the car loaded, printed our birth plan and called our parents so they could get themselves on the first flight in the morning. We also called my photographer friend, Krista, to give her the heads up with plans to let her know when we headed to the hospital. She lived about an hour away and we wanted to make sure she didn’t arrive too early and have to wait around, or arrive too late. By this time, about 8pm, I could no longer talk through my contractions and I was starting to hum through them. By 11pm my contractions were consistent in intensity and had been for well over an hour. And they were about 2.5 to 3 minutes apart. My husband had to convince me it was time to go, (one of my biggest fears was getting to the hospital too early and having the doctor or nurses saying I “needed” Pitocin) so we headed to the hospital, the longest 20-minute drive ever. My sister said I made creative use of the F word. At L&D triage our nurse, Shirley, was wonderful with her exam. She said I was about 6cm and 100% effaced. She thought I might be closer to 7cm, but my bag of water was bulging and she didn’t want to break it. She read my birth plan and left to get me a large cup of ice-cold cranberry juice. I knew right then we weren’t going to have any pushy nurses tonight. I could have kissed her. Once in my spacious delivery room, we were left alone and I was able to walk around the room and do pretty much whatever I wanted to make myself comfortable. The most comfortable position was standing up and leaning on the bed with my husband rubbing my lower back. I never really moved from that spot and just swayed my hips during a contraction. I was entirely focused on the feel of his hands on my back. He didn’t need to provide counter-pressure, I just needed to feel the warmth of his hands there. During one contraction he had to leave to sign some forms and I started to panic, gasping instead of slowly breathing through the contraction. Once he was back, I got myself under control again. At one point, I had a moment of realization. I noticed that I was sweating; a common sign of being in transition. I actually got excited at this point. Sure the contractions hurt like hell, but I was handling them and realized that this was as bad as it was going to get! I realized that I was going to get through this and not need any pain medication. A few moments later I felt a contraction that was noticeably different, my body started pushing a bit, without any participation from me. Then I felt myself peeing all over the floor. It was just my water breaking, but it really felt like I was peeing. My husband said he only got a little bit on his shoes. I think he was being nice. Because my water had broken, the nurse wanted to check that there was no cord prolapse. I crawled into bed and was put back on the fetal monitor for a few minutes. Everything was great and I was complete at 10cm! The on-call obstetrician was called since my OB was on vacation. I was able to adjust the bed and pillows so I was sitting in an upright/squat position that was much more comfortable. Plus there was no friggin’ way I was going to lay on my back. After two contractions, I started feeling the overwhelming desire to push. Trying not to push through these contractions was, by far, the most difficult part of my labor. I kept hearing over and over to not push, since the OB wasn’t there yet. Hearing them just made me more and more angry. THEN! …a nurse arrived to start my Hep-lock. There is only one reason why I agreed to get the Hep-lock: I’m a very hard stick and if there was an emergency, I didn’t want there to be a delay because they couldn’t get an IV going. I warned my labor nurse that I was a hard stick, so she called in a LVN. After the LVN blew three veins, reinforcements were called in and a phlebotomist got one going on my right hand. I know it took them a while because they would stop their work whenever I had an OH-MY-GOD-I-NEED-TO-PUSH contraction. I wasn’t dehydrated either! The pain from the blown veins was barely noticed since I had other sensations to distract me. I was moments from bashing heads against the wall for picking NOW to start my IV. If they had taken a moment longer, I would have screamed for them to stop and get out. I ended up with ugly bruises on my arms that took weeks to heal. My photographer, Krista arrived right after they finished with my Hep-Lock and was able to start taking photos. I’m so happy she was there, because I know my husband didn’t want to have to focus on me and try to remember to take pictures too. The only bummer was she couldn’t use a flash. We didn’t know about that before hand. I guess the flash would have messed with the room’s spotlights. Finally after what seemed like hours, (it was only about ten minutes) the on-call OB arrived and I could start pushing without someone chastising me. It was an utterly amazing feeling to be able to push. I finally got to participate in what my body was doing instead of just breathing, moaning, or humming through each contraction. My husband was amazing, reminding me to breathe through each contraction and to keep my face relaxed. His touch kept me focused and calm. Then my sister, who was expecting to get kicked out because we hadn’t actually planned for her to be there, came over and kept her warm hands on my knee. She joked that I conveniently shaved my legs for the occasion. I was told I laughed between contractions, but I don’t remember laughing. I pushed my way through half a dozen contractions with the OB perched at the foot of my bed monitoring my progress. She was just sitting there, wearing one glove and was very chill about the whole thing. My husband was starting to wonder if she was going to catch this baby one-handed. My memory of this part is fuzzy, but I heard her finally say something like, “two more pushes” and I heard a lot of shuffling around in the room. I guess she finally got all gowned up and the bottom half of the bed was detached. My husband said it was pretty cool to watch as they got everything ready for the baby to arrive in just a minute or two. I was also incredibly thankful that I had about 20 seconds of rest in between each contraction. After about three or four pushes, I felt my son crowning. I had a few moments of sheer panic thinking, “there’s no way my body can stretch that far! !” (My mom warned me I’d have that feeling.) Then the contraction ended abruptly and it felt like he was sticking out halfway. I know he wasn’t, but that’s what it felt like. The OB was telling me that once his head was out to stop pushing, even though I was still going to feel the urge to push. Once his head came out, the rest of him came shooting out anyway. He was immediately placed on my chest in one fluid movement. My husband had to tell me to open my eyes so I could see our son. I opened my eyes and saw this beautiful baby who looked REALLY pissed off. I developed tunnel vision and had no idea what was happening beyond him. All I could see was his squishy, pissed off face, full head of hair and incredibly long fingernails. No one in my family had hair when they were born!! I saw my husband’s eyes and my mouth and my ears. It was an amazing feeling. The nurses left my son on my chest, skin-to-skin, while my bottom half was tended to. I had a 2nd degree tear, most likely from his body shooting out so quickly. After about two hours he was weighed and measured footprints were taken… and they did it right next to my bed. 6lbs, 8oz and 19.5 inches long, APGARs of 9 and 9. He was born on October 12, 2009 at 2:02am. I was tripping on such an adrenaline high that I didn’t sleep at all that night. I have never felt so exhilarated, exhausted and empowered in my life. 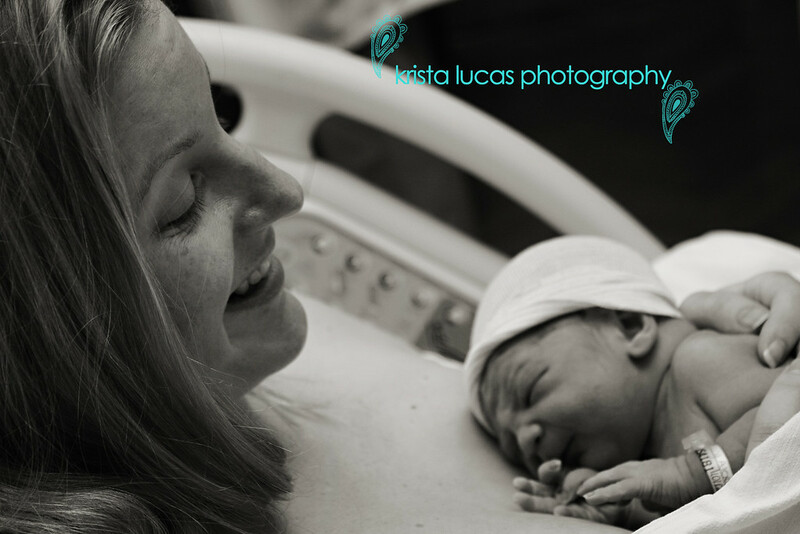 My postpartum recovery was longer than I expected thanks to that cold I had before I went into labor. The A/C at the hospital made it much worse. I lost my voice completely and I ended up with a cough so bad that I tore some cartilage in my chest that made it incredibly painful to cough, sneeze or even lay down for almost a week. We also had a very rocky start to breastfeeding and a three-night stint in the NICU when he was a week old because of jaundice. 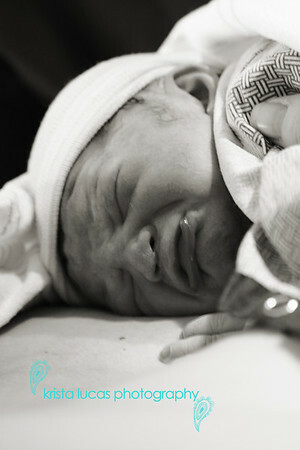 You can read about our breastfeeding struggles and about TJ’s trip to the NICU. In the end, all was well and we are so blessed to have such an amazing little boy. Added by Alex T. on June 17, 2012. Awesome story! You may have inspired me to try for a drug free birth for #3 (maybe lol) and I LOVE the pictures! this is such a sweet story. Well done mama! This story was so beautiful!! You are an amazing, strong mama!! Pingback: Real Mama: Alexandra Tebow | Mama Say What?! What an inspiration Alex! 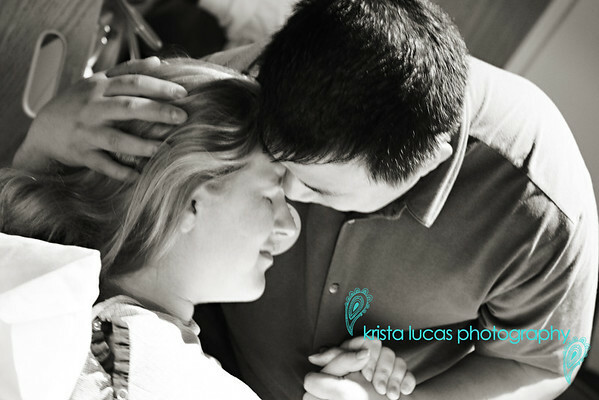 Your story means so much more to me now at 31 weeks pregnant and 8 weeks into the Bradley course. We have just selected a Birth Center and feel so much more prepared for this baby’s arrival than just a few short weeks ago. Pingback: TJ’s DIY Baby Book | Mama Say What?! Pingback: M's Birth Story Mama Say What?! | Mama Say What?! Pingback: My Two Very Different BFPs Mama Say What?! | Mama Say What?! Pingback: My Birth Center Experience Mama Say What?! | Mama Say What?! Pingback: Ask the Mamas: Bonding with Baby Mama Say What?! | Mama Say What?! Pingback: Newborn Jaundice, Again Mama Say What?! | Mama Say What? !